Cinnamon Toothpick are made from Cinnamon branches which are harvested to make Cinnamon Sticks. Whilst the outer bark is peeled off and used to distill "Cinnamon Oil" the inner bark is used to make Cinnamon Sticks. 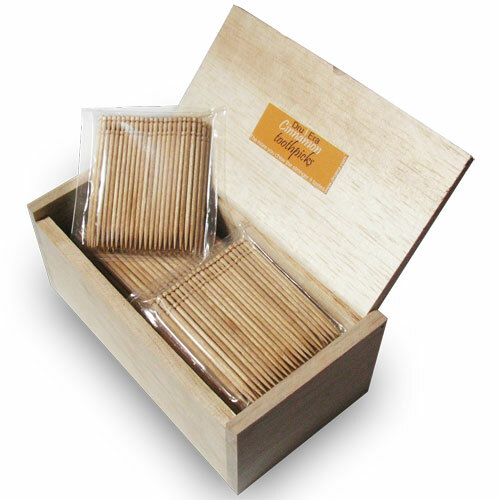 The remaining inner part of the sticks are used to produce "Real Cinnamon Toothpicks"
The medicinal properties of the Toothpicks are effective against Tooth decay and also help promote healthy gums and fresh breath. For maximum results keep the Cinnamon Toothpick in your mouth and bite as long as you like. Real Cinnamon Toothpicks could be chewed for hours.